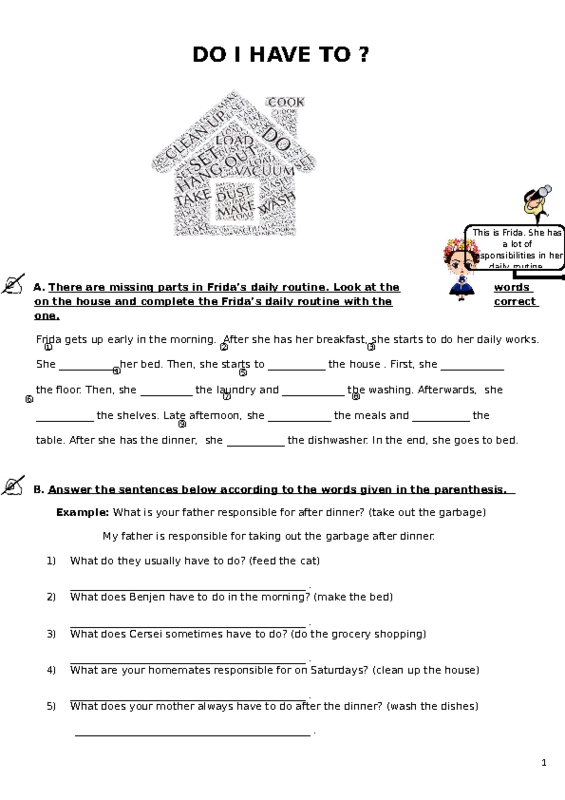 This worksheet includes fill in the blanks activity with a wordcloud which is about household chores. Also, it provides a sentence level activity, in that part learners use 'have to/has to' and 'responsible for' structures to talk about household chores. Error correction activitiy includes chores vocabulary items again.